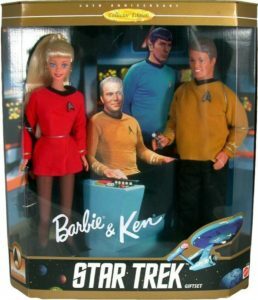 To commemorate 30th anniversary of Star Trek, Mattel’s 1996 pop culture mash up release of Star Trek Barbie and Ken set is a franchise marriage made in the Alpha quadrant. 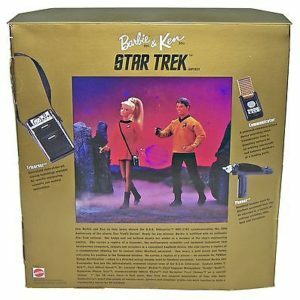 This collector edition gift set pegs Barbie as an engineering officer and Ken as a command officer on the bridge of the Enterprise. Captain Kirk and Spock looks on from the background. By the look on his face, somehow we get the feeling Spock is not happy about this situation. Interesting. 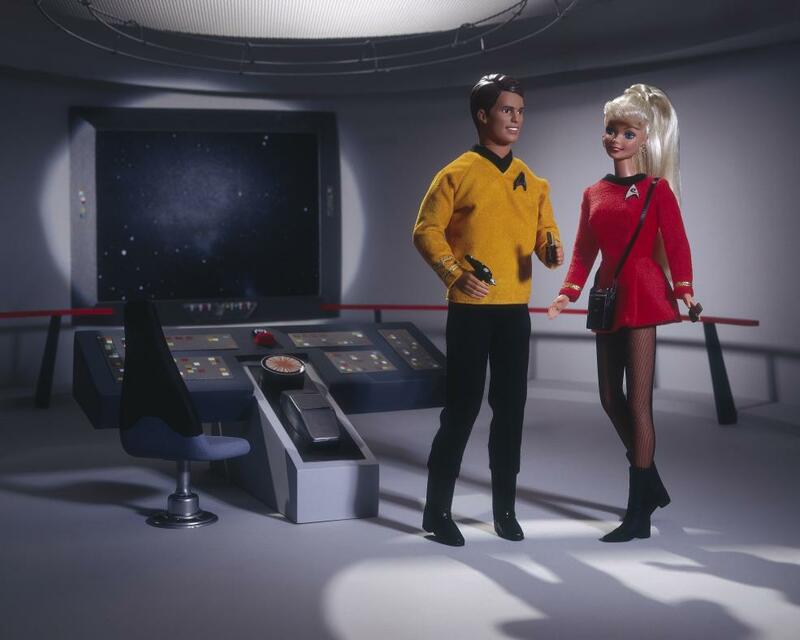 Join Barbie and Ken for a special mission aboard the U.S.S. Enterprise in this tribute to the original Star Trek series. 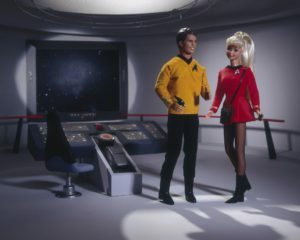 Barbie® doll is an Engineering Officer in her short, red uniform with black trim. She wears an authentic insignia and carries a Tricorder and a Communicator. Ken® doll wears a gold jersey and insignia indicating he is a Command Officer. He carries a Phaser and Communicator. 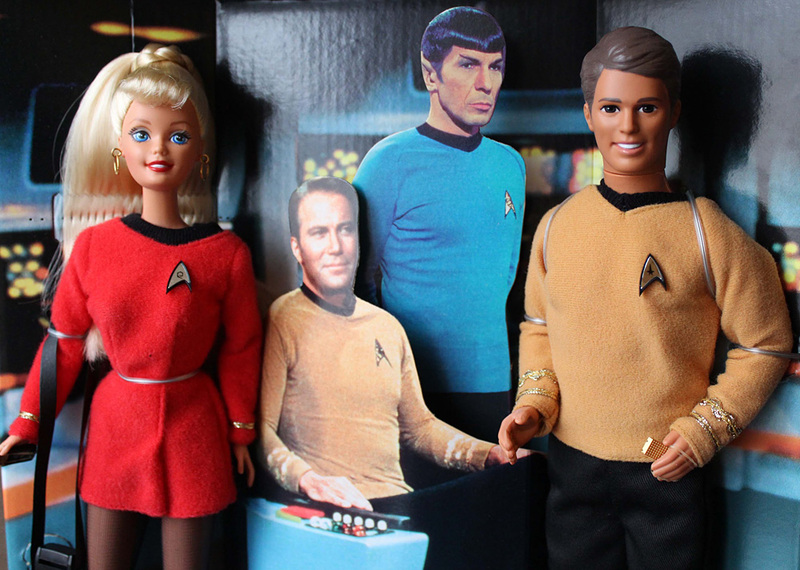 The dolls are displayed in a fun, commemorative package along with Captain James T. Kirk and First Officer Spock. Beam aboard, and let the adventure begin.